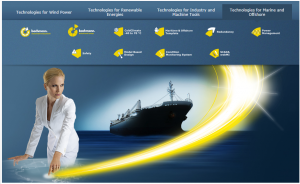 Bachmann electronic serves customers worldwide in the maritime and offshore sector with safe, flexible and modular high-end automation system solutions. All our activities are focused on the benefitting the customer: We deliver tailored solutions and set ourselves the highest standards. Meeting highly specialized market and customer requirements such as: Model Based Development, web-based Scada, Redundancy, Condition Based maintenance, Power Management and much more have since long become a standard for us. Bachmann is offering over 40 years of experience in the automation sector. We provide the critical edge in know-how to bring your maritime solutions quickly to market, with the optimum support of our worldwide network of technical branches. In the maritime and offshore sector, the name Bachmann is recognized as a benchmark for first-class automation and control technology. Our customers are provided with highly reliable complete solutions that increase the productivity and controllability of their applications. Bachmann solutions have the toughness to match the harsh conditions in the maritime and offshore industry; they stand out on account of their extremely high availability, very long service life of over 20 years, and the use of state-of-the-art technologies. Our broad and modular product range meets every customer requirement. We provide you with a homogeneous and holistic system solution that also ensures a high level of availability and is future proof. We offer you everything from a single source, and in the highest quality.